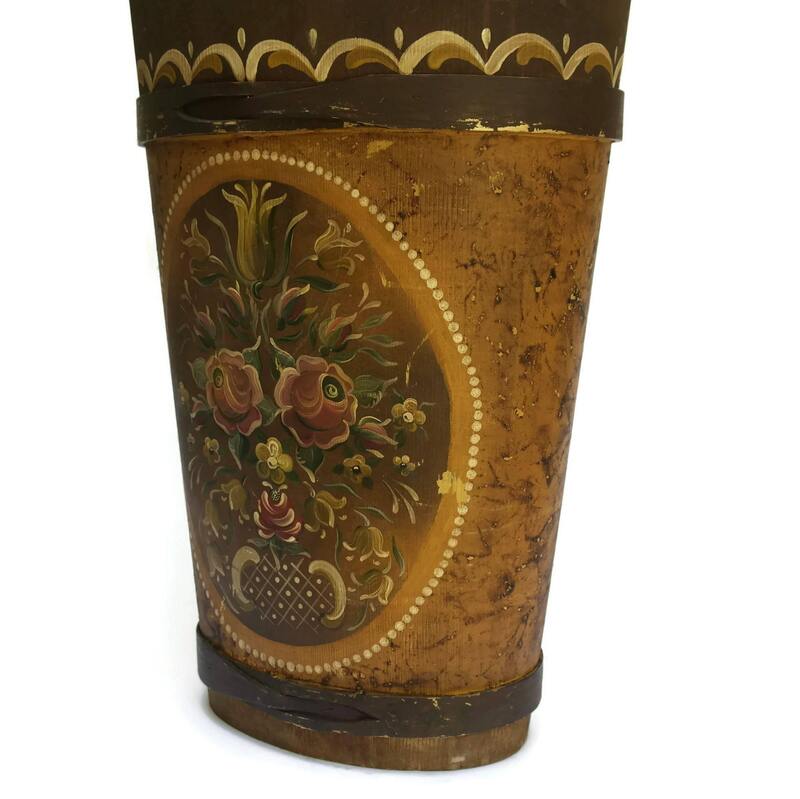 Vintage German Folk Art Tole Painted Wooden Umbrella Stand. 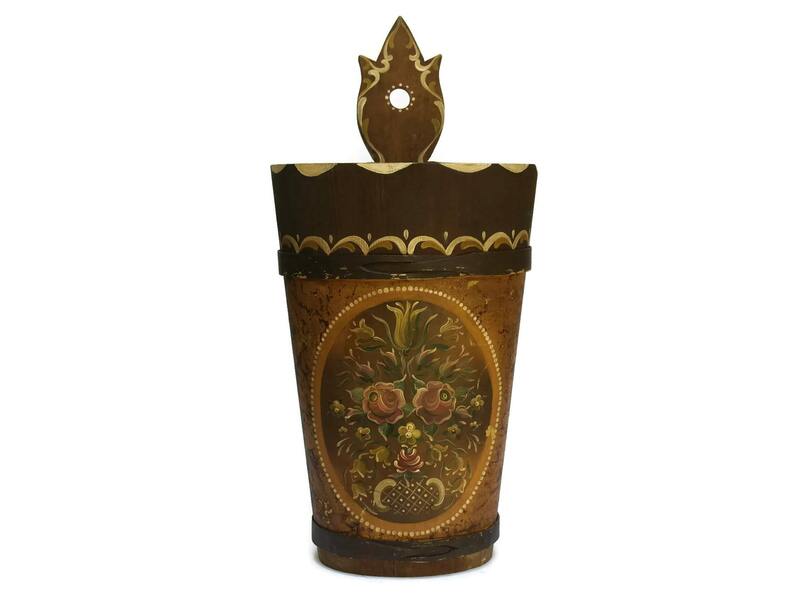 A charming traditional German wood umbrella stand. 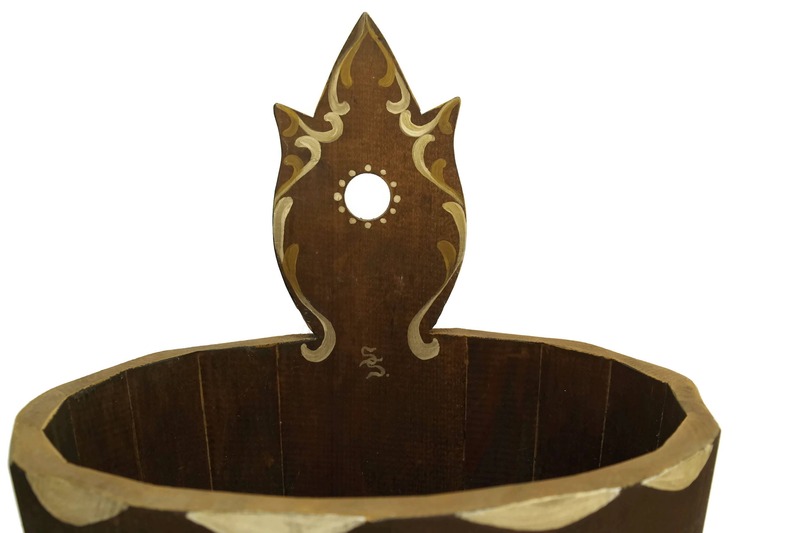 It has been hand-crafted from pine with long panels expertly joined together. 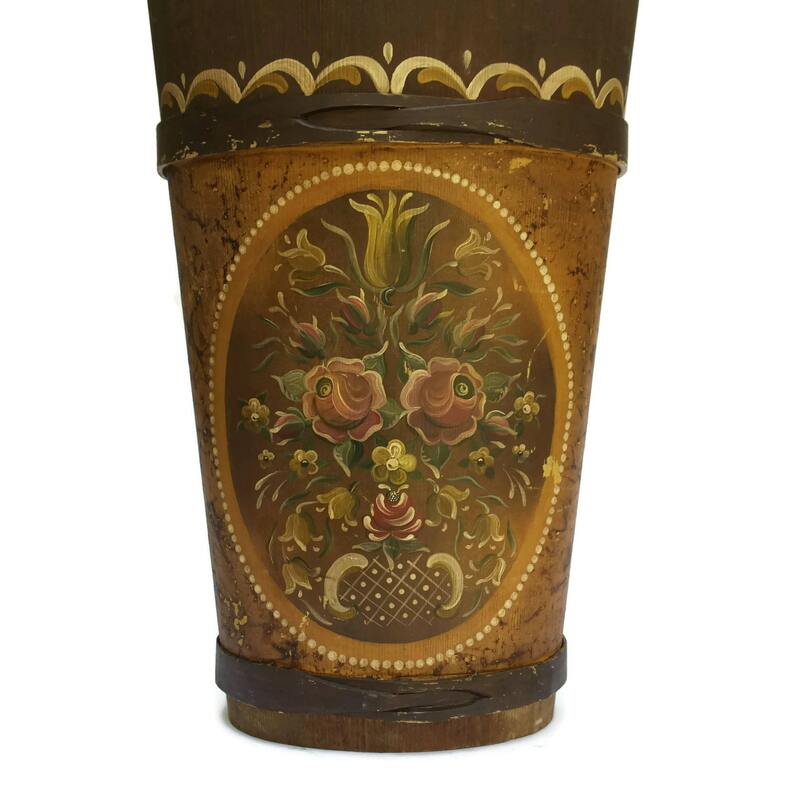 The exterior of the umbrella holder has been beautifully hand-painted with traditional folk art and tole flowers. The piece has been signed wih the initials of the artist Sieglinde Stommel. 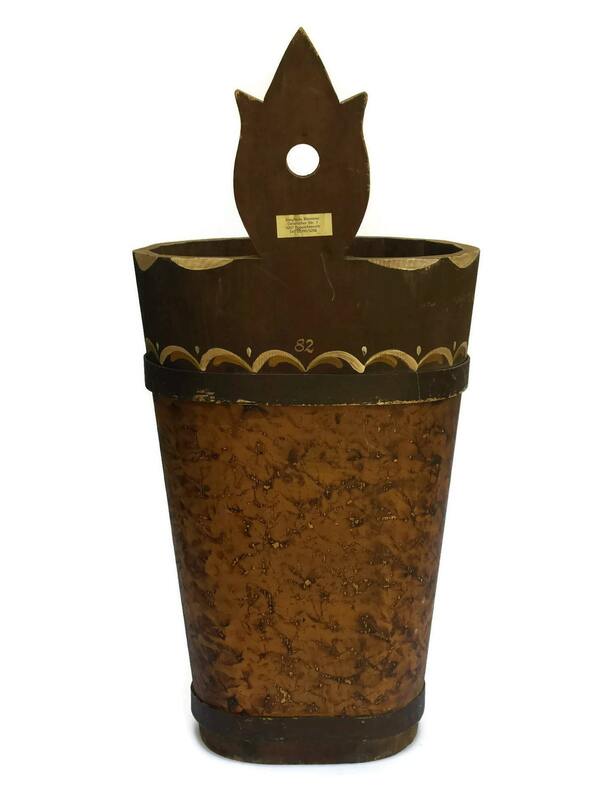 The wooden umbrella stand is in very good condition.